In a new paper published in Nature Communications by the group of Prof. Maurice at University Medical Center Utrecht, single chain antibody fragments that block cellular signaling and thus potentially can be used for future tumor targeting were developed. Attana’s technology was used to select the most promising candidates. The development of some cancer types is associated with increased expression of Wnt receptors. Therapeutic targeting of these receptors is thus a promising treatment. 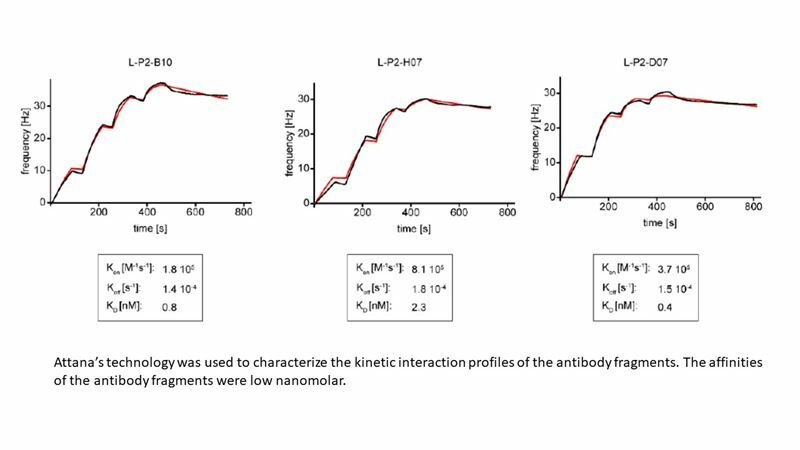 In this paper, antibody fragments, so called single-domain antibodies (VHHs) targeting the Wnt receptors LRP5/6 were developed. Three highly potent VHHs that interact with the receptors and inhibit cellular responses were identified. With the help of Attana’s technology, the kinetic interaction profile of the VHHs were characterized. The VHHs were shown to target a specific type of tumors, which are sensitive to Wnt. Targeting cancer cells with these VHHs is therefore a potentially promising strategy for treatment of such tumors.